France has warned Donald Trump against unilaterally recognising Jerusalem as Israel's capital. Any decision on the contested city's status must be "within the framework of negotiations between Israelis and Palestinians", President Emmanual Macron said. Concerns have been raised as the US president missed a deadline to sign a waiver delaying the relocation of the US embassy from Tel Aviv to Jerusalem. The document has been signed every six months by US presidents since Congress passed an act in 1995 calling for the US embassy to be moved. But Trump, seeking to honour a campaign pledge, is considering going ahead alone. Reports say the US president will recognise Jerusalem as Israel's capital later this week. 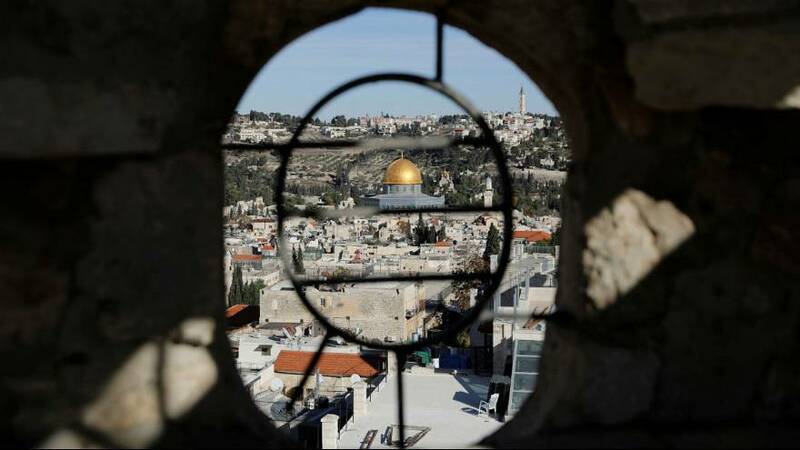 The status of Jerusalem is at the heart of Israel's conflict with the Palestinians who both want it as their capital within a two-state solution. US unilateral action breaks with decades of US policy and it is feared could fuel more violence in the Middle East.